Is there anything nicer on a cold morning or for relaxing in the evening than a hot cup of herbal tea? Besides the nice taste, herbal teas have numerous health benefits. They can help lull you to sleep, soothe an upset tummy, or calm rattled nerves. 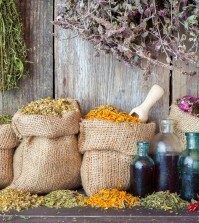 Herbs have all sorts of healing and medicinal powers and are a terrific source of vitamins and minerals. Actually, herbal tea isn’t made from tea at all. Tea comes from the leaves of a specific plant. Herbal “teas” are infusions of seeds, roots, bark, flowers, or leaves, extracted through boiling or very hot water. When we drink herbal teas, we get all the plant’s benefits in a way that the body can digest easily. We get more benefits from a good herbal tea than a vitamin pill in many cases. You get hydration, aromatherapy, and vitamins in a manner that is highly available to the body. You certainly can’t claim that about a pill! Because of this, one mistake many people make when steeping their tea is to leave the pot or the cup uncovered. This allows vital essential oils to escape through the steam. Always be certain to cover the container while your herbs are sitting in the hot water to keep as many valuable nutrients inside the water as possible. Also, be sure that you are steeping your teabags or loose tea long enough: a minimum of 10 minutes, but 15 would be even better. You can always reheat your tea for a few seconds if it gets cool. Drinking tea everyday can help make significant changes to your skin, your mood, your energy, and overall sense of well-being. There are numerous herbal teas to choose from, so we have compiled a list of the top 15 teas that are known to have medicinal, healing qualities. As the name implies, elderflower tea comes from the flowers of the elder tree. They can be used dried or fresh. Elderflower reduces mucus in the sinuses and lungs and also treats coughs, bronchitis, and asthma. Elderflowers have many immune-boosting compounds that are also great for treating winter colds, fevers, and the flu. This tea also helps remove toxins from the body through urine and sweat. Be certain that you buy your elderflowers from a trusted source. This plant has a chemical similar to cyanide that can be dangerous if used incorrectly. Use 3 or 4 grams of dried or fresh elderflowers for every 8 ounces of hot water. You can drink this tea two or three times per day to help relieve ailments and clear up stuffy heads. Peppermint tea is perhaps one of the best teas you can drink when you are suffering from bloating, gas, or general stomach cramps or pain. Peppermint relieves muscle spasms and is also great for nausea and/or vomiting. Peppermint will also warm up the body and make you sweat, so it’s good for removing toxins from the body. Peppermint tea will also help to lessen the severity of herpes outbreaks and lowers stress levels while freshening your breath at the same time. 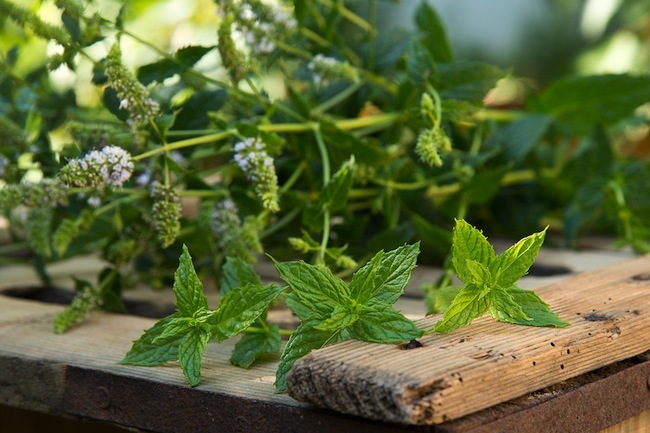 Peppermint is often prescribed for those suffering from IBS or gallstones. This tea is not the best choice if you are suffering from heartburn or indigestion. You can make peppermint tea using fresh leaves from a garden plant (This one is super easy to grow!) or dried leaves. This is one of the most popular teas around and you should have no trouble finding organic peppermint tea at any health food store. Cardamom is an evergreen plant that grows in Guatemala and India. Cardamom flowers are white and both the dried flowers and the seeds are used to make this very aromatic tea. Cardamom tea can help with stomach pain, gas, and indigestion, along with nausea. This is a terrific tea that can help remove phlegm and fight respiratory illnesses. Cardamom is what you should drink when you want to relieve a cough and need a good expectorant. 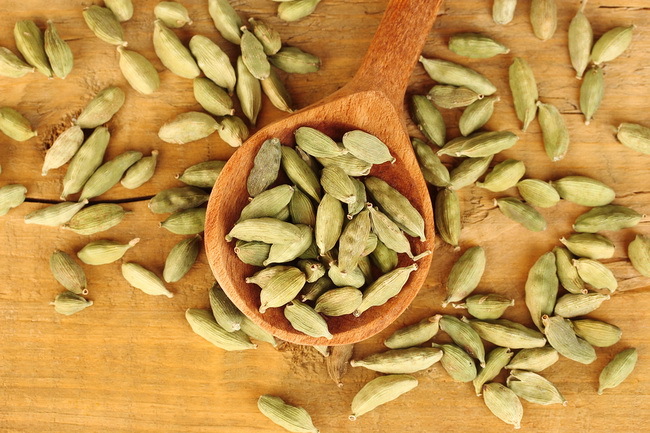 Cardamom is excellent at detoxifying the body, especially at removing excess caffeine from your system. For women who experience mood swings or other PMS symptoms, drinking a cup or two of cardamom tea each day will greatly help relieve these annoying problems. 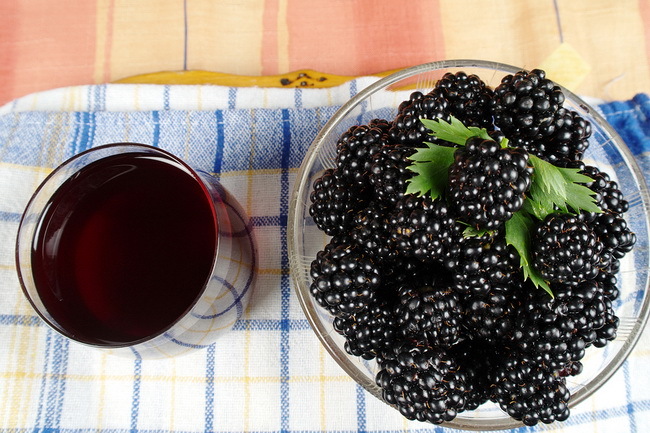 Using dried leaves from blackberry plants not only makes a delicious tea, but studies show that the leaves contain high doses of flavonoids, which are known for their powerful antioxidant activity. 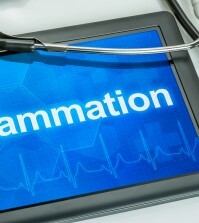 Antioxidants fight free radicals in the body, which are the cause of many diseases and early aging. Many peach and berry flavored teas actually use the flowers, leaves, and/or berries of the hawthorn plant for their flavoring. Hawthorn is thought to contain flavonoid-like complexes that help to improve cardiovascular health by dilating and relaxing the blood vessels. This will lead to increased blood circulation and lessens the stress on the heart. Tea made from hawthorn berries will relieve bloating caused by water retention by removing excess salt from the body. This is also a great tea to drink to help with high blood pressure. 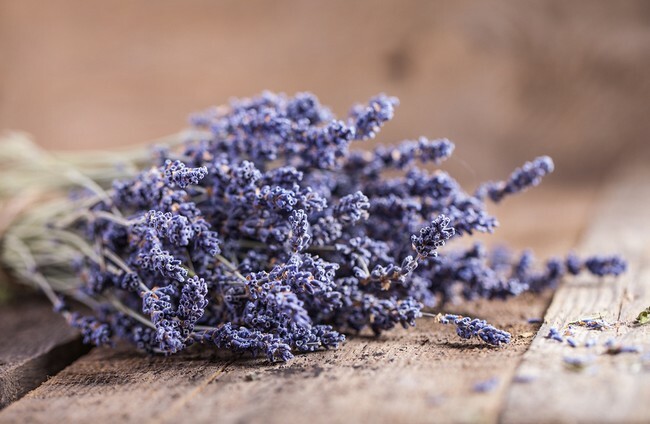 Lavender is more than a sweet smelling flower for sachets and perfume. Lavender is a multi-purpose herb with a world of healing power behind it. You can use either the leaves or the pink, purple, or white flowers, or a mixture of the two. This sweet-smelling plant has been used for centuries and its medicinal uses have been documented for just as long. Lavender is perfect for treating anxiety, coughs, colds, stress, feelings of anxiety and even insomnia. This tea is a wonderful way to naturally relieve fevers. Lavender tea can even help with joint stiffness and rheumatic pain, prevent dandruff, and relax sore muscles. Spraying your skin with cooled lavender tea is also a great way to deter insects. If you have fresh lavender, use one teaspoon of dried leaves and flowers for every cup of boiling water. You can always add some honey or lemon for a little extra flavor or sweetness. Chamomile is one of the world’s most popular teas when it comes to calming the body and relieving insomnia. 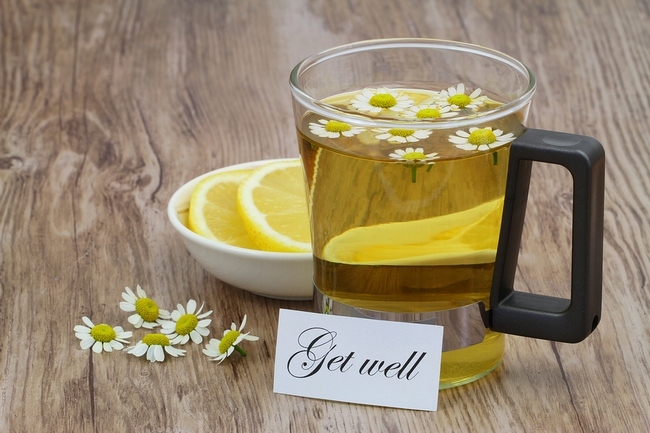 Chamomile is also terrific for relieving cough and bronchitis symptoms, as well as improving the digestion. You can also use cooled tea as a gargle for sore throats or for mouth inflammation. Chamomile is well-known for calming the mind, relieving anxiety, and helping you deal with stress. This tea is best consumed about 30 to 60 minutes before bedtime. One of the best sources of vitamin C to be found, rosehips are the fruit of rose bushes. 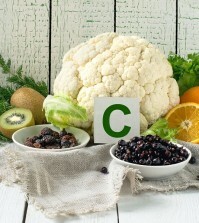 Vitamin C is vital for immune system support, healthy skin and other tissues in the body, as well as proper functioning of the adrenal glands. 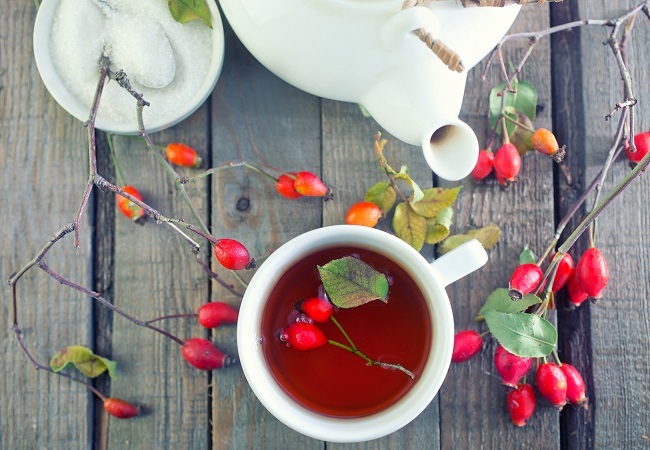 Next time you want a real health boost, try some rosehip tea. This tea is made from dried hibiscus flowers and is sometimes called sorrel tea. 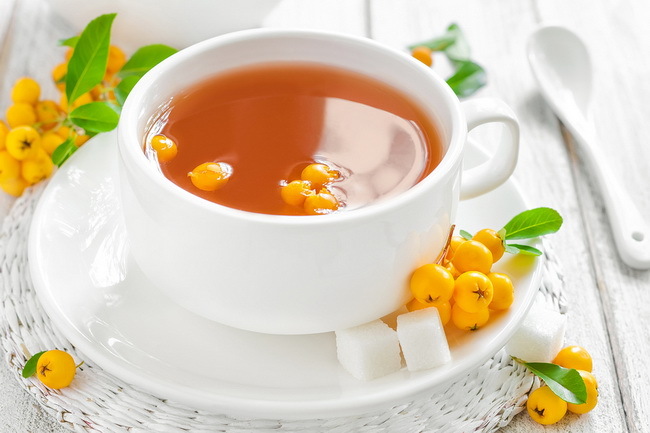 This tea is powerful medicine that is known to lower high blood pressure, reduce high cholesterol, and strengthen the immune system due to its high vitamin C content. For those who suffer from hypertension, hibiscus flower tea can really help to lower blood pressure. Studies show that this tea is rich in antioxidants, which help to protect the body from free radicals that cause damage to the body on a cellular level. 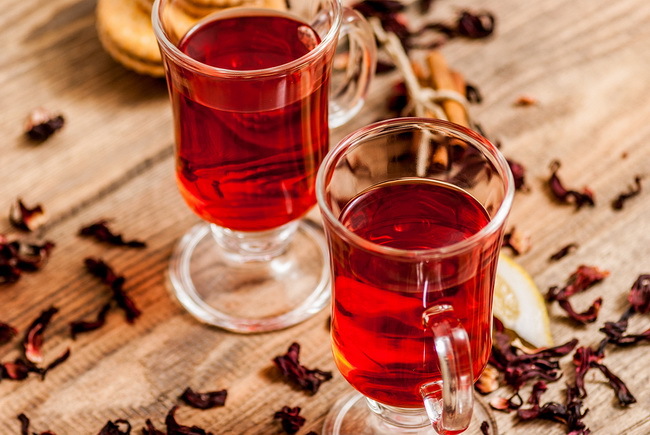 Red zinger tea is a popular tea that is actually made from hibiscus flowers. Green tea is so full of health benefits, it is called “the wonder tea” by many people. Green tea lowers your risk of developing cancer and inhibits the carcinogenic effect found in processed foods and other toxins. This tea has powerful antioxidants called polyphenols, which fight free radicals and stop the damage they cause. Green tea lowers cholesterol, which can help cardiovascular health. 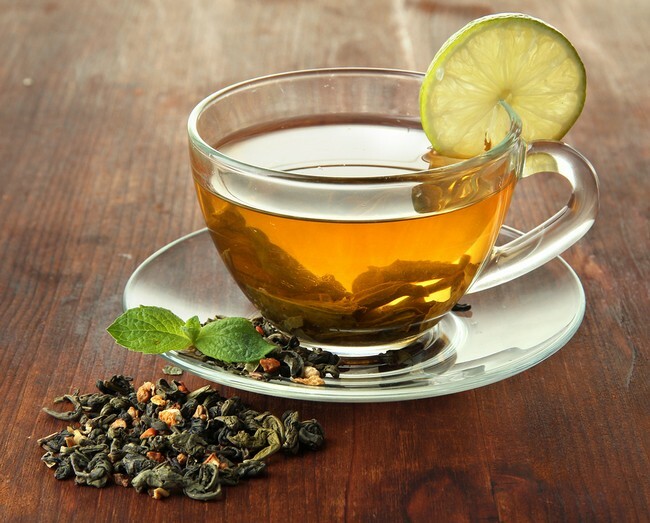 Green tea has also been shown to stop certain types of cancerous tumors from forming as well. This tea has so much going for it, it would be a crime to let a day go by without drinking at least one or two cups of this super beneficial tea each day. Always brew this tea fresh, as the bottled tea sold in supermarkets has been so highly processed it contains almost no health benefits. 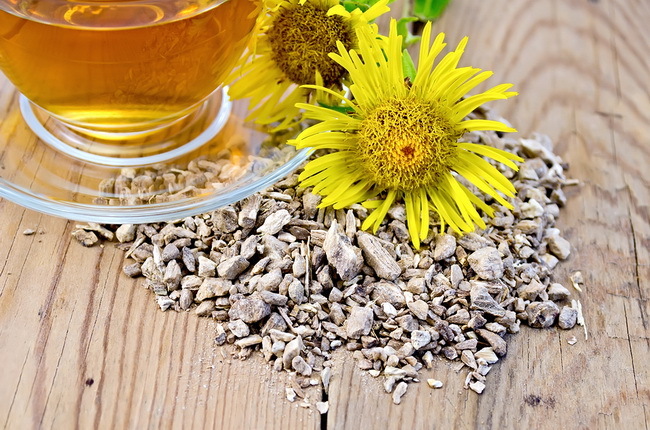 Milk thistle and dandelion teas are gentle ways to cleanse the liver and the blood. These herbs help the liver to regenerate itself and function at a higher capacity. These teas also help to stimulate the production of bile, which can help with the digestive process. This orange-yellow spice is native to Greece or Southwest Asia and comes from the flower of a saffron crocus plant, which is a relative to the lily family. The dried stigmas of this plant are used to color fabric and foods, and bring out the flavor of food dishes. This is an ancient spice that was treasured by the Greeks, Egyptians, and the Romans. It was used both to flavor foods as well as for medicinal purposes. Research shows that saffron tea can improve the health of the eyes as well as slow the progress of diseases that cause blindness. The flower contains a compound called Crocin, which not only gives this plant its golden yellow color, but is also a powerful antioxidant, so powerful that it can offer us protection from certain types of cancer. Saffron can help with insomnia, PMS, depression, memory, and asthma. 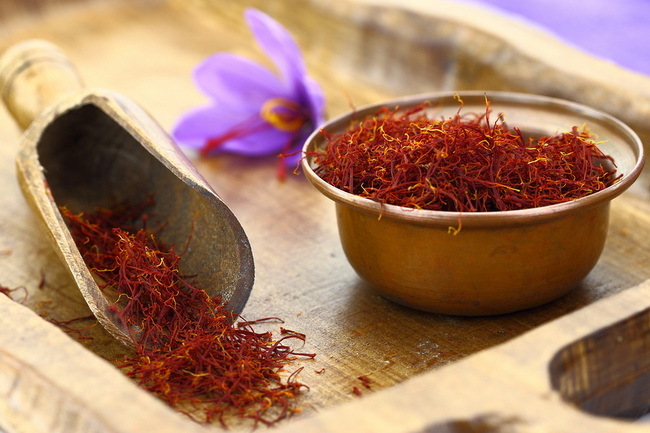 Saffron can be purchased in a powder or in threads but it’s expensive to purchase this way. However, if you do find a good source, you can make your own healing saffron tea by steeping about 3 threads in 8 ounces of water for a minimum of 20 minutes. If you find saffron a little bitter for your taste, add a cinnamon stick to the pot. You might have to do a little searching to find this tea, as it’s not as common as others, but you can always find it online if need be. Rooibos is a plant native to South Africa. It has a nutty yet sweet flavor and it is consumed in Africa both in cooked dishes and baking. This plant has been used for centuries. It has high levels of antioxidants and important minerals including zinc, magnesium, calcium, and iron. This tea is well known for treating skin conditions. 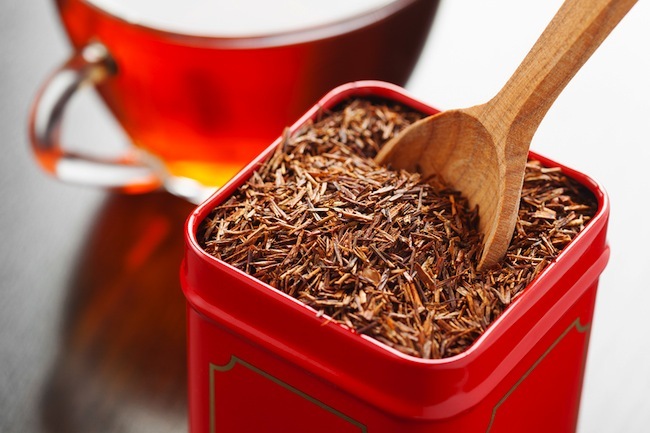 Studies show that rooibos’ high levels of alpha-hydroxy and superoxide dismutase really helps those who suffer from acne. Rooibos tea can also promote feelings of relaxation and can help you fall asleep naturally but it won’t leave you feeling sleepy during the day. Rosemary is a super fragrant perennial herb that is native to the Mediterranean. It’s most often used in cooking to help enhance the flavors of foods. Rosemary is a great way to cut the formation of carcinogens that form when meat is grilled at high temperatures and one cup of rosemary tea can help to stop gas, indigestion, and bloating. 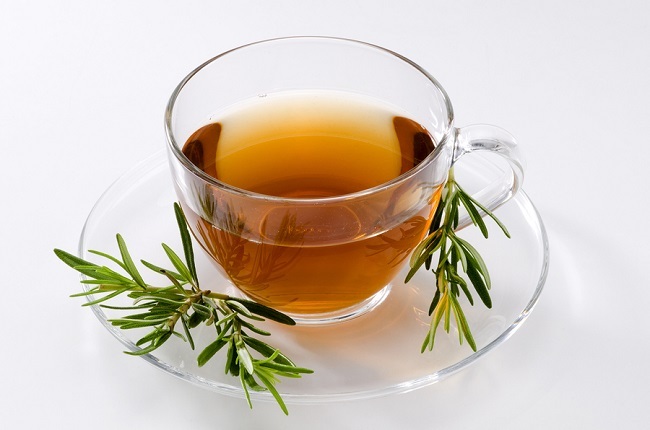 Rosemary tea is also known to improve memory and concentration, stop allergy triggers, and prevent arthritis as well. 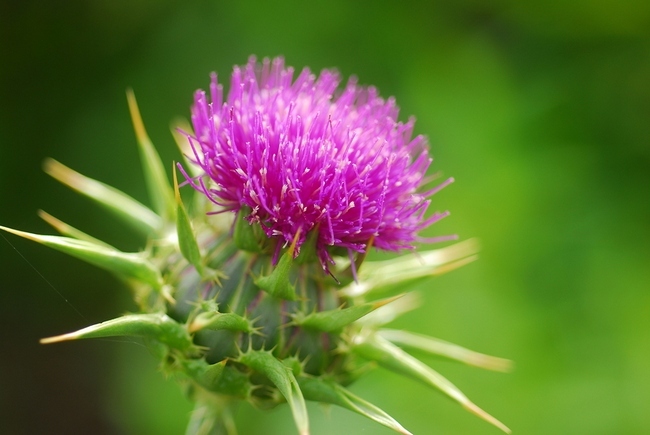 This herb has strong antioxidants which fight off free radicals. Research shows that rosemary can improve vision health, prevent aging of the brain, and stop the formation of cancer causing compounds. Rosemary is another plant that is super easy to grow at home. If you have fresh rosemary you can make your own tea by adding 1 tablespoon of dried leaves to three cups of boiling water and allow to steep for a minimum of 15 minutes. Add a bit of raw, organic honey to taste if you like. We actually use the root of this herb for cooking, baking and herbal remedies such as tea. This root has been super popular in Asian and European countries for many years, but has recently gained popularity across the world in recent years. 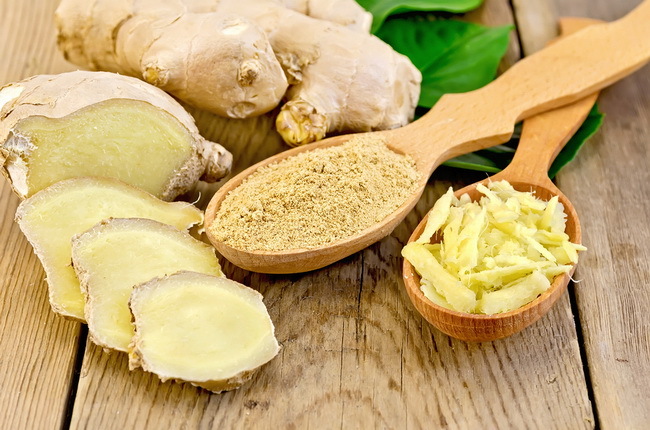 Ginger is perhaps best known for its ability to stop nausea and vomiting but it is also great at stopping allergies, muscle aches, cramps, reduce fevers, and cleanse the colon. For women with hot flashes caused by menopause, ginger tea can help reduce them naturally and without cancer causing hormone therapy. Fresh ginger root is fairly easy to come by. Use three or four thin slices of raw, organic ginger for every 8 ounces of boiling water. The longer you leave the ginger in the water, the stronger your tea will taste. Add some orange, lemon, or a bit of honey to improve the flavor. Although all of these teas have powerful healing properties, they should not be considered to be a substitution for a doctor’s care. If you are taking prescription medication, always consult with your physician before consuming any herbal product to avoid dangerous interactions.